Here is a great article (more than a review)about this book's effect on readers' performance. The ideas are helpful for more than just tennis. 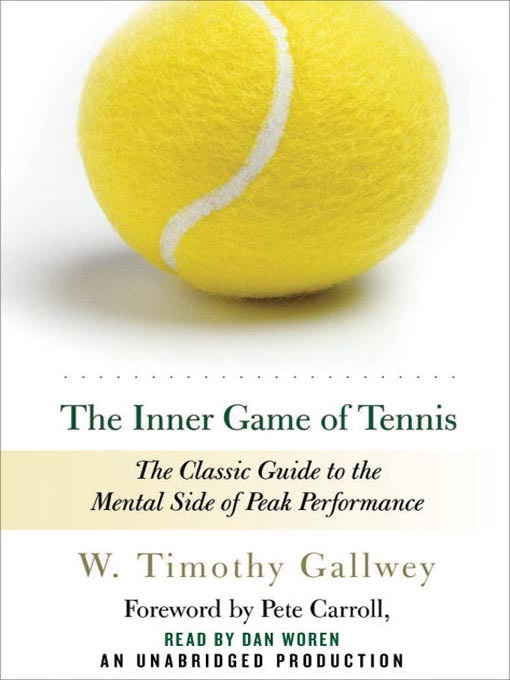 I did not read it when it was published in the seventies, because I had William Tilden's How to Play Better Tennis, which really did help my game. I have not been on the court in years. But now I will read The Inner Game of Tennis. It may inspire me to play again, but even if it does not, I expect to learn to find the state of "relaxed concentration" necessary to peak performance. Sounds good to me!